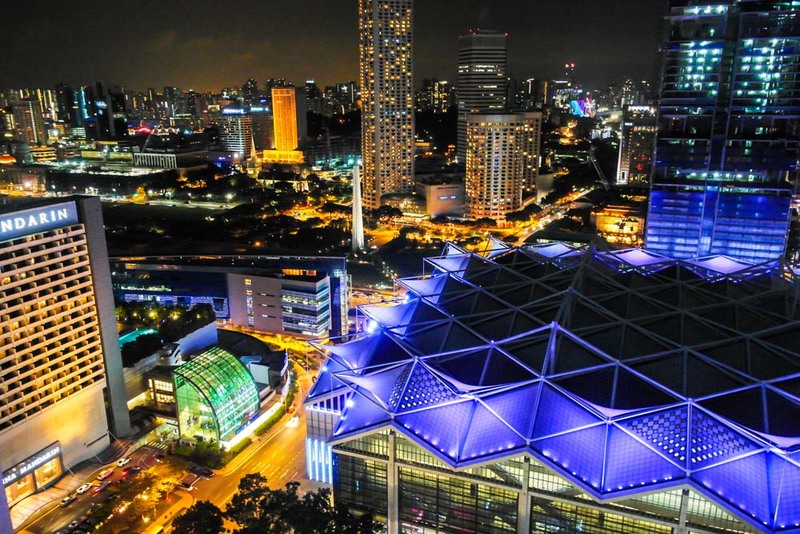 Situated in Marina Bay with easy access to great shopping, Suntec Convention Centre and the Central Business District, Pan Pacific Singapore is one of the largest hotel chains in Singapore, offering a whopping 790 contemporary rooms and suites that are ideal for both business or leisure. 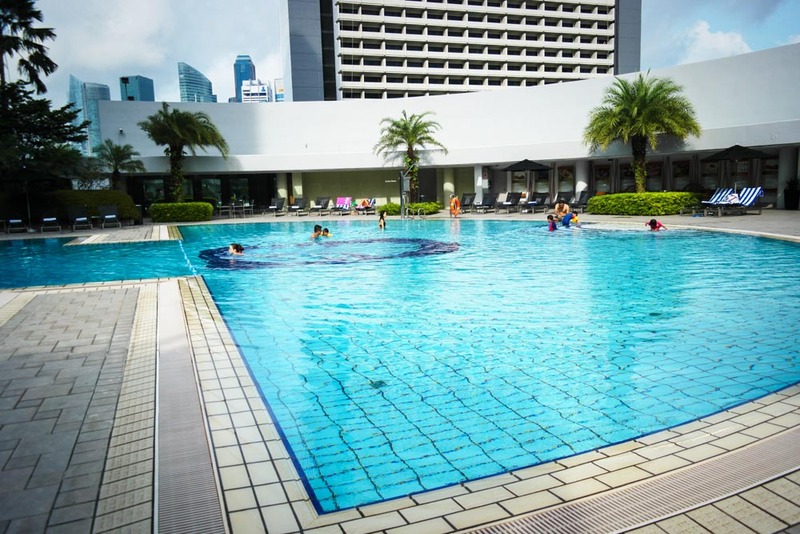 From time to time, Pan Pacific offers themed staycation packages, like the World Cup rooms or the Fireworks by the Bay package to coincide with Singapore’s National day. 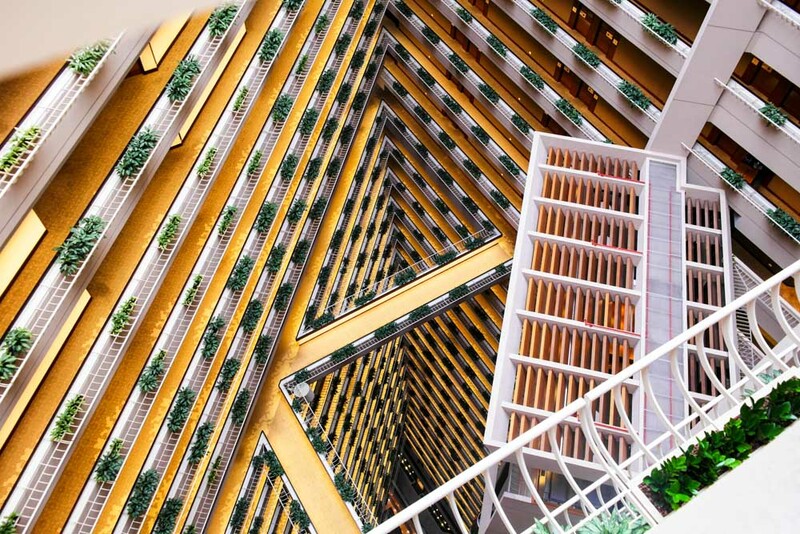 So what makes Pan Pacific’s Fireworks by the Bay stay so unique? Let’s explore the hotel facilities in more detail. 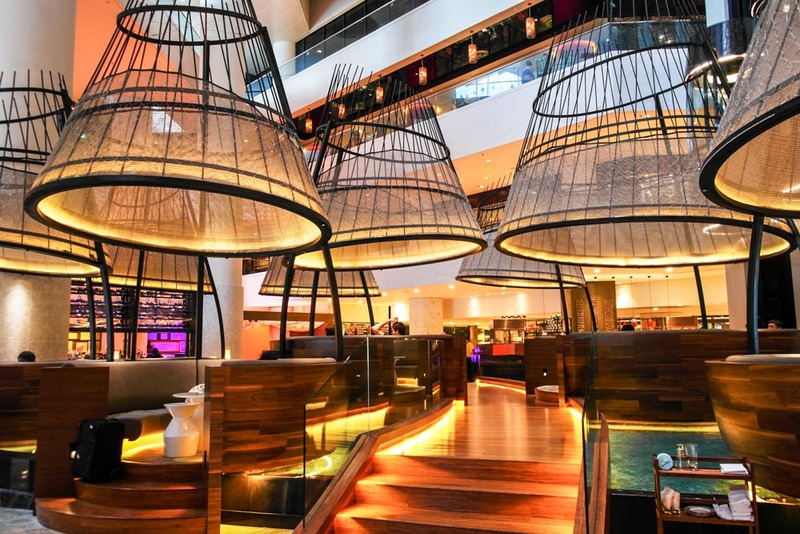 After a revitalizing renovation, the lobby of Pan Pacific Singapore is filled with handmade timbre pods with adaptable booth-seating arrangements that add to the welcoming and engaging atmosphere in the lobby. 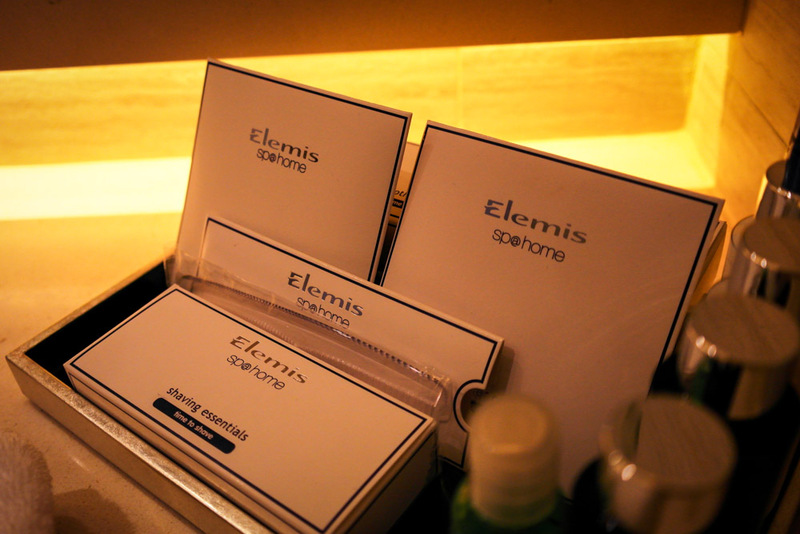 On arrival, guests are served a refreshing beverage while an associate handles the check-in procedures. 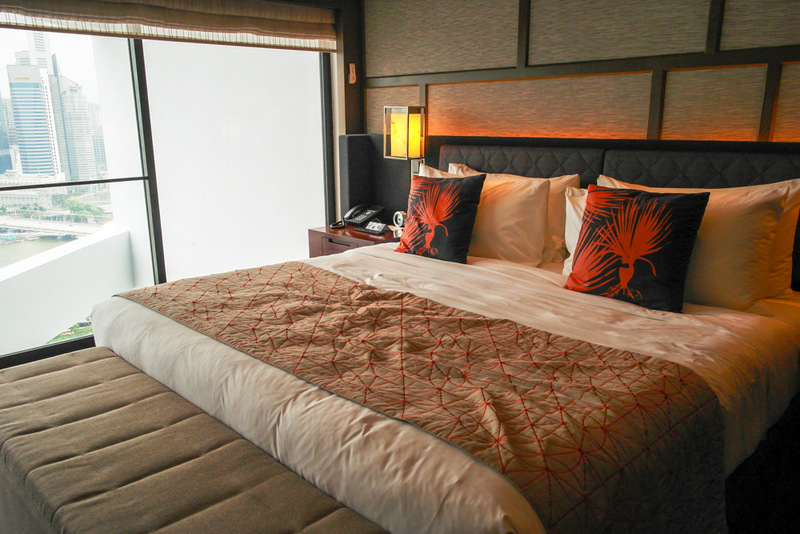 If you have booked a stay with the Pacific Club, the service is even more personalized and check-in is done in a private room for club guests. Imagine the grin on my face when I was shown my room. 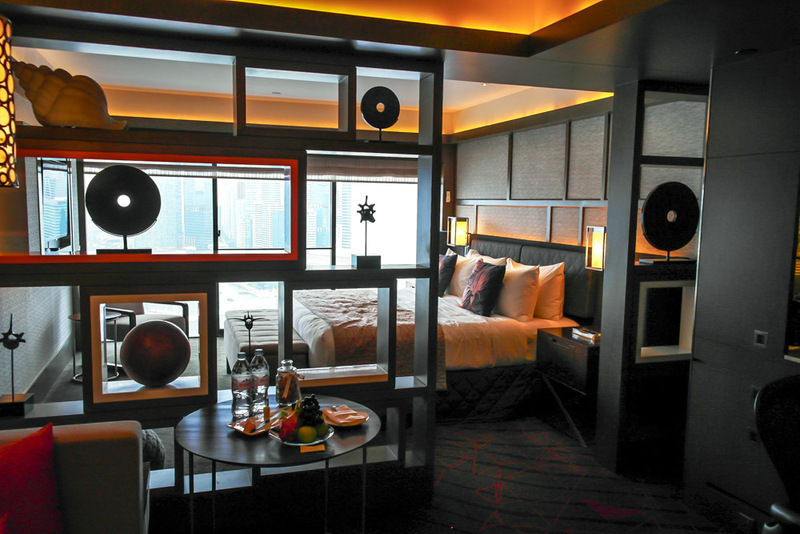 From $500 per night, the Pacific Harbour Studio is considered the junior suite room and is just breathtaking. 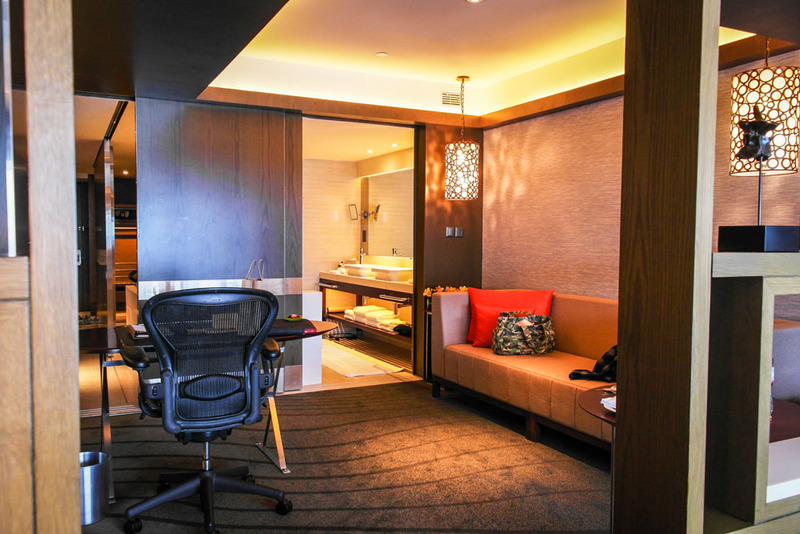 At almost 700 sqf, the Harbour Studio is spacious,comes with amazing quality furnishing and a private work desk area. The square tub is luxuriously huge, big enough for a bubble bath for 2, or probably to play soccer in. There is so much spatial distance from the bed to the wardrobe area, it felt like a mini marathon just walking from one end to the other. 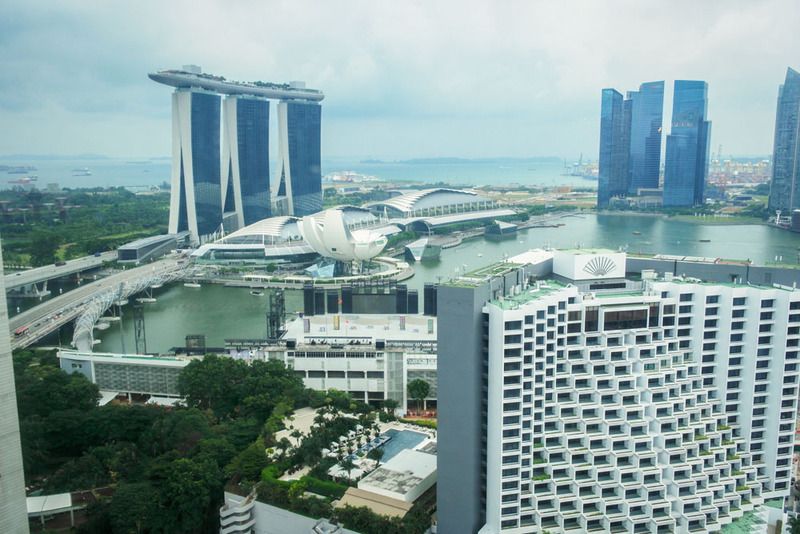 This is the view from my room – one of the prime benefits of booking Harbour Studio class room is the spectacular view you get. 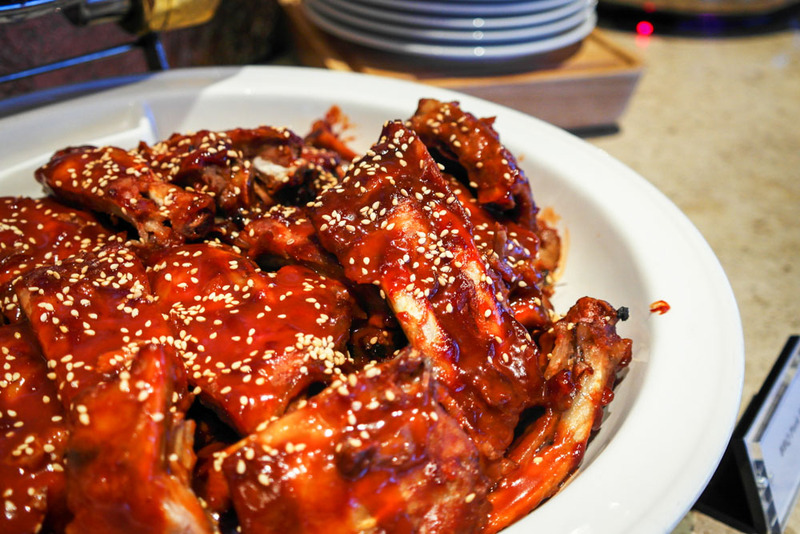 When you indulge in a staycation with Pan Pacific Singapore, you also get to revel in the festivities of the upcoming National Day celebrations. 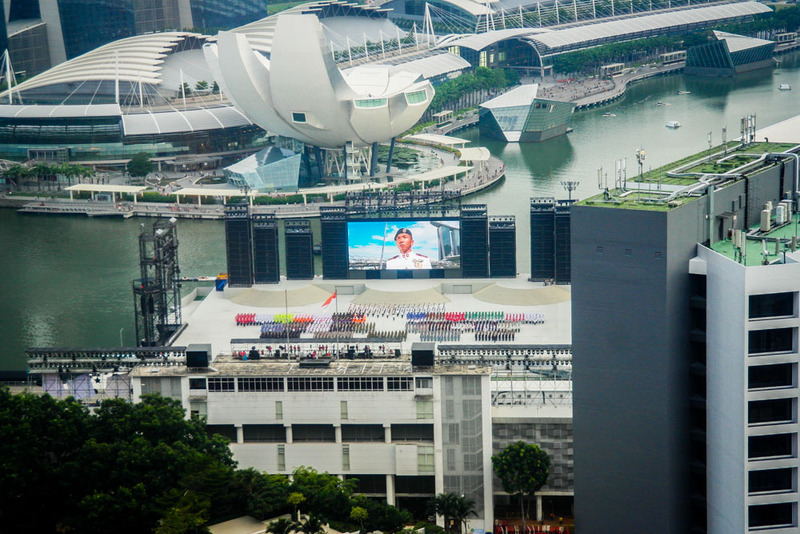 From 12 July to 9 August, enjoy a free show of the National day rehearsals right from your room, as this room type overseas the Marina Bay float where rehearsals are held. Stunning fireworks can be enjoyed every Saturday evening as well right from the comfort of your room. *I don’t have firework pics because I was having dinner at the time, whoops. 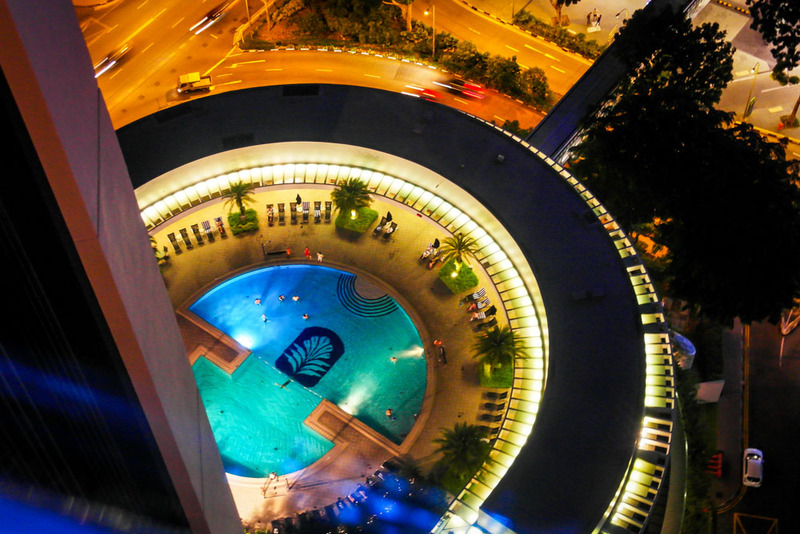 You will definitely want to opt for the Pacific Club access and all the extra frills that ocme with it. 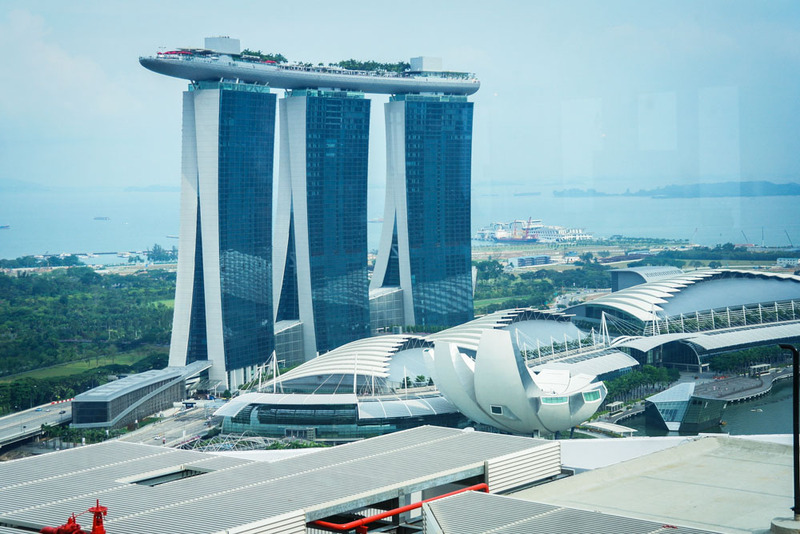 The Pacific Club now occupies the top floor of the hotel at Level 38, providing panoramic 360 views of the surrounding Marina Bay district and the South China Sea. View from the 38th floor club. 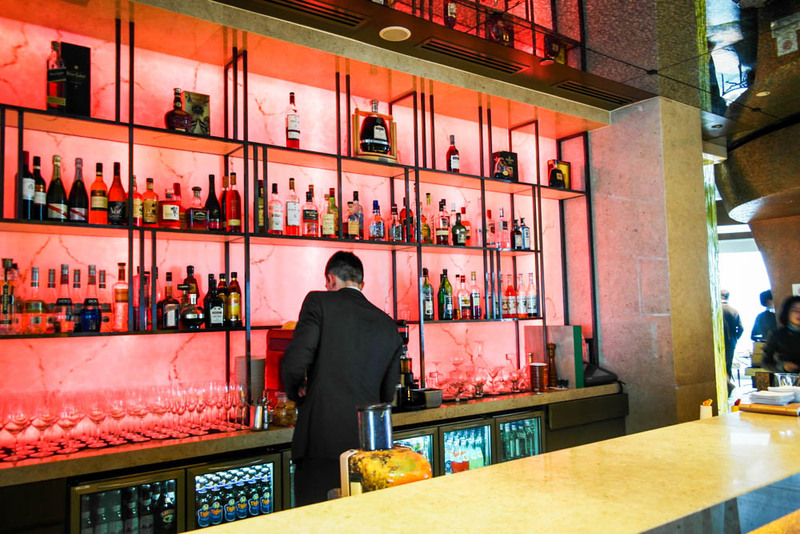 Designed to accommodate the business and leisure needs of hotel guests, the Pacific Club experience comes with special round-the-clock privileges and services such as refreshments and cocktails, as well as personalised guest services. The Pacific Club is even open for 24 hours, a determined effort to deliver top service. Most other club lounges I’ve been to just close at 11pm, which makes Pacific Club that much more impressive. 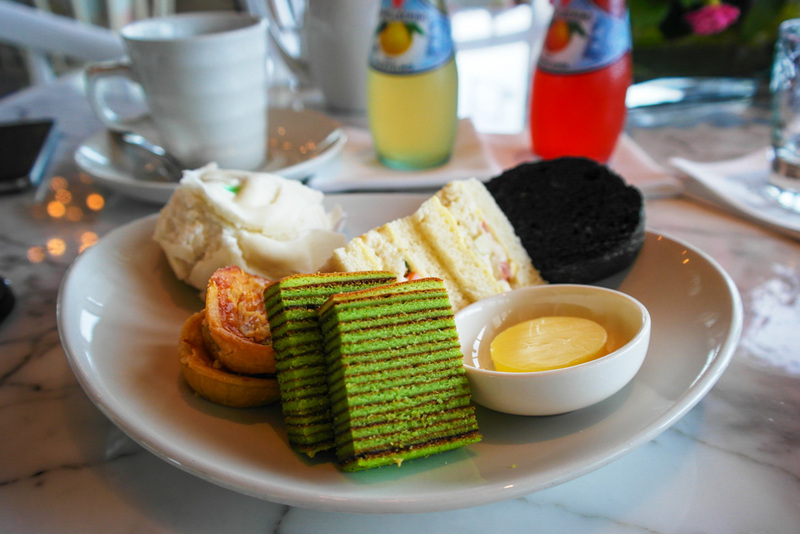 Afternoon Tea (3pm – 5pm). 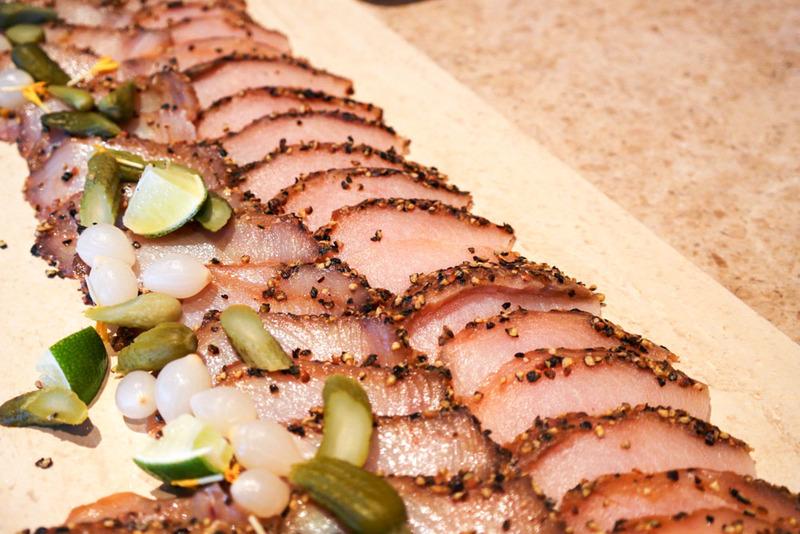 Enjoy cakes, sandwiches, snacks and tea at the Pacific club. Sunset Cocktails and Canapes (6pm – 8pm). 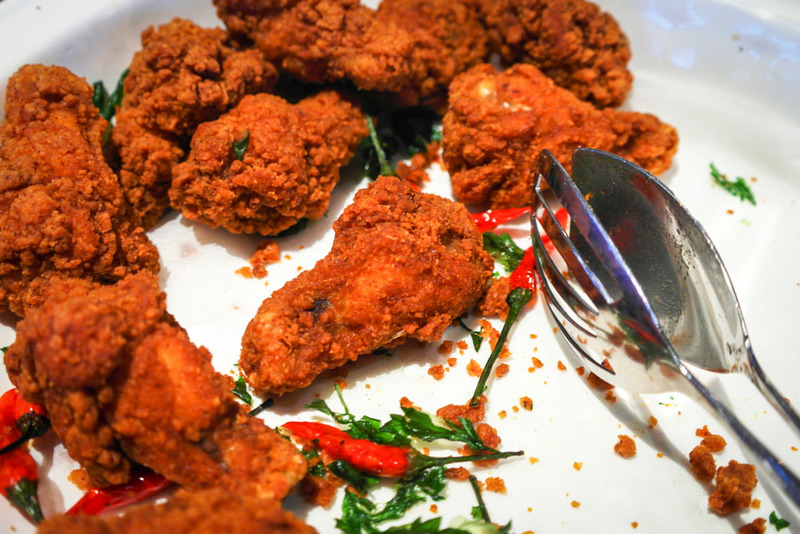 A wider range of foods and canapes are available after 6pm, as well as for alcoholic pre-dinner drinks. Singapore Sling ($18). 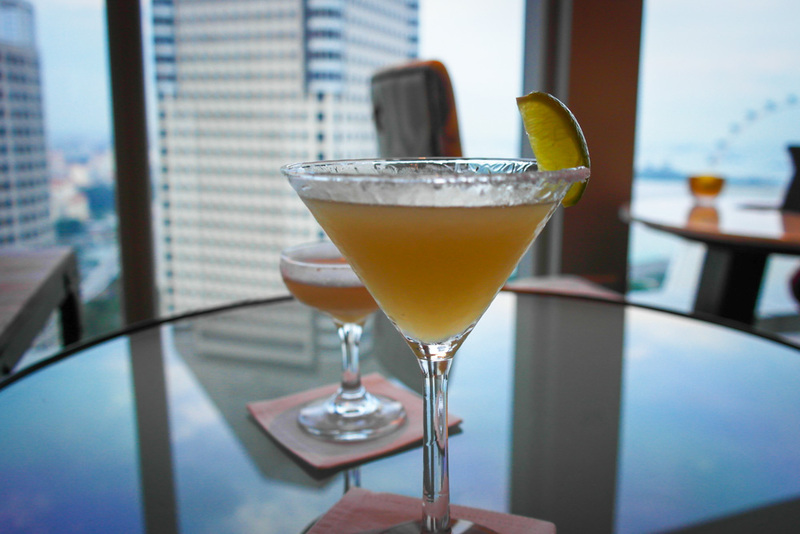 Pan Pacific’s own rendition of the classic Singapore cocktail, made with Gin, Cherry brandy, Benedictine Dom, pineapple and lime juice. Free for club guests of course. Pompelmo Margarita ($15). 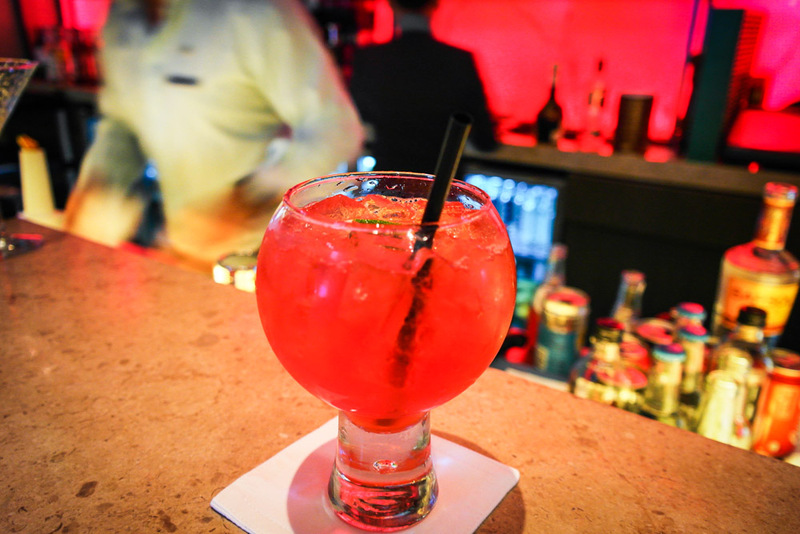 Tequila, cointreau, fresh lime juice and pompelmo sparkling. 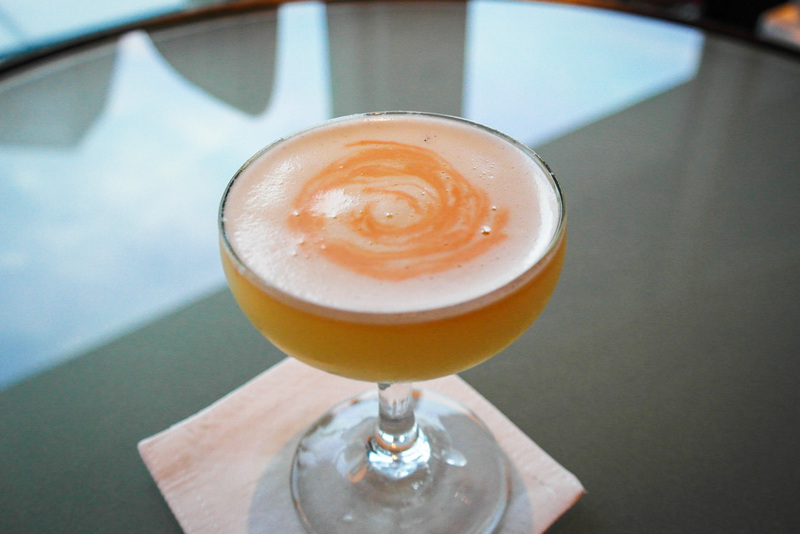 Pisco Sour ($15). Pisco, lime, sugar, egg white and angostura bitters. Other specialty, as well as classic cocktails can be ordered from the friendly hotel associates. 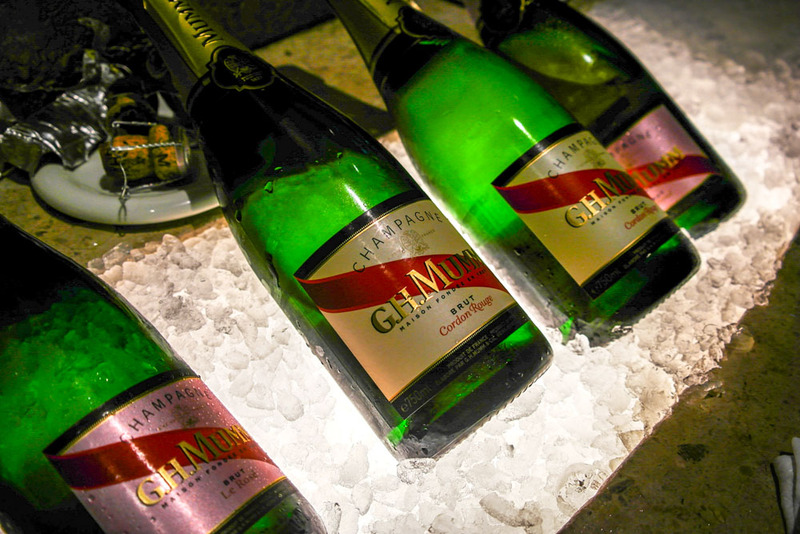 If bubbly is more your fancy, the club also carries G.H.Mumm champagne. Do note that bar service is limited to the cocktail hour as mentioned earlier. 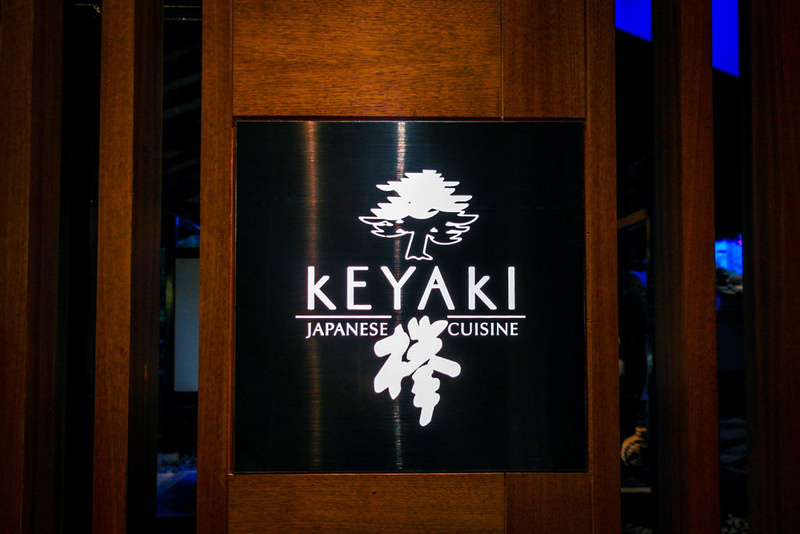 After drinks, you can check out premium dinner options within Pan Pacific hotel itself, like Keyaki, Edge or Hai Tien Lo which you are entitled to a 30% discount as a hotel guest. As dusk descends, the surrounding sights get luminously stunning. These shots were taking from the glass lift. 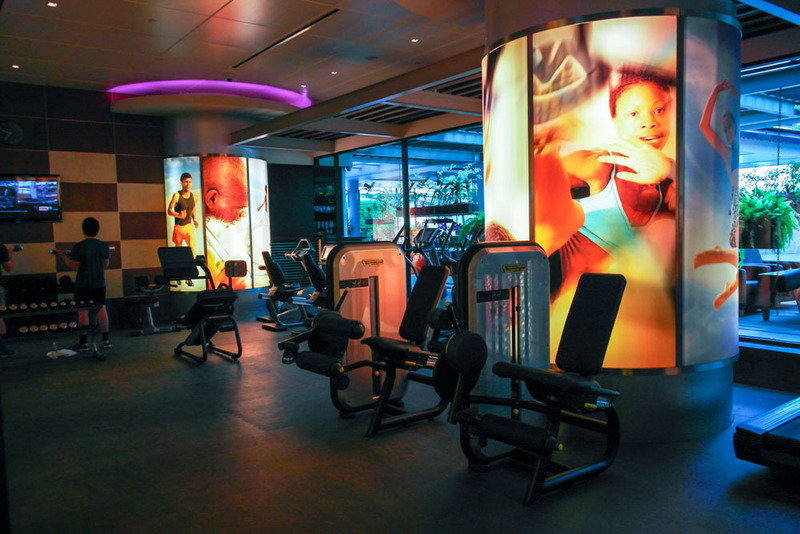 Rejuvenate at the wide swimming pool or the gym, which also has a dedicated trainer to guide you on any exercise. 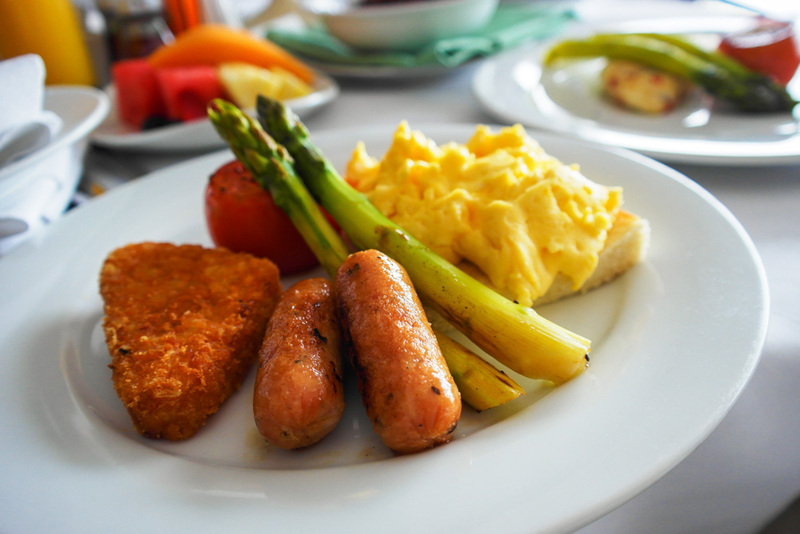 For morning breakfast, you can choose to either head to the Edge restaurant (level 3) for an intercontinental breakfast buffet spread, the Pacific Club (level 38) for a smaller selection, or order room service for any 2 breakfast items in the menu. 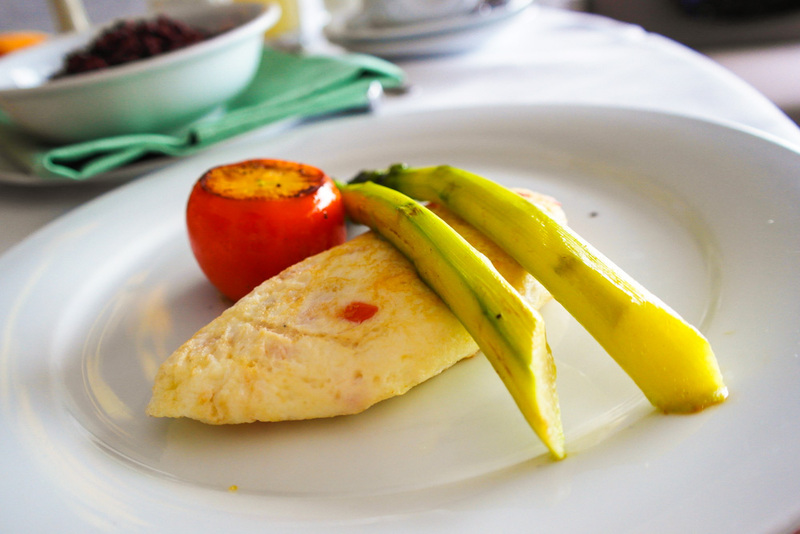 As you can see, I was overwhelmed with laziness and decided to opt for room service breakfast. 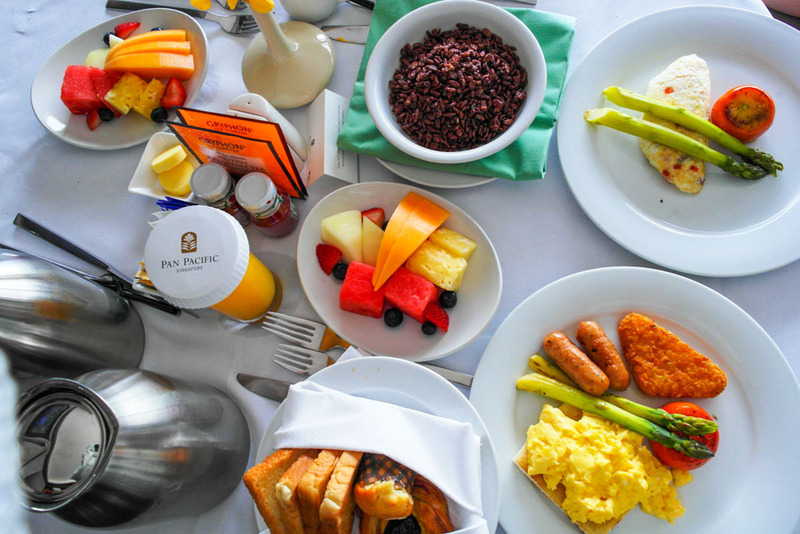 Most hotels only allow you to eat at the restaurant, but having the room service breakfast was a pleasant change although waiting time and dishes might be a tad more limited. Love the flexibility. 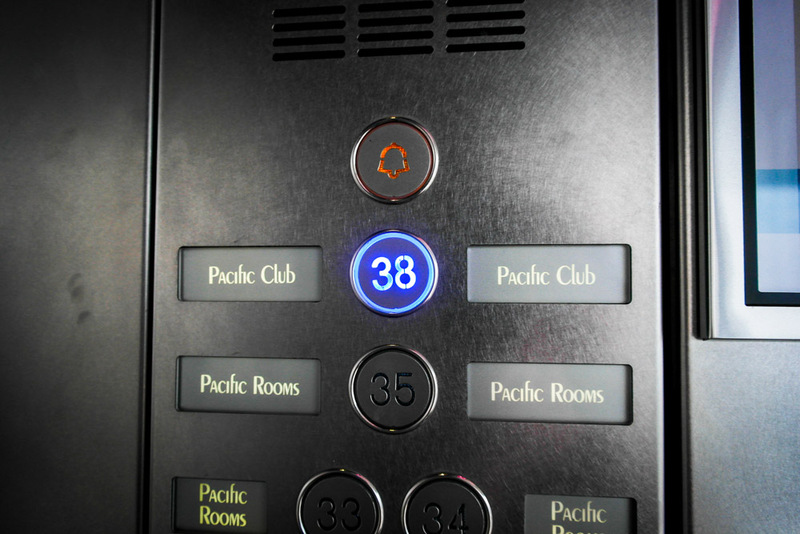 Pacific Club access at Level 38 for two persons for bookings of Pacific Harbour Room, Pacific Harbour Studio and Pacific Suites. 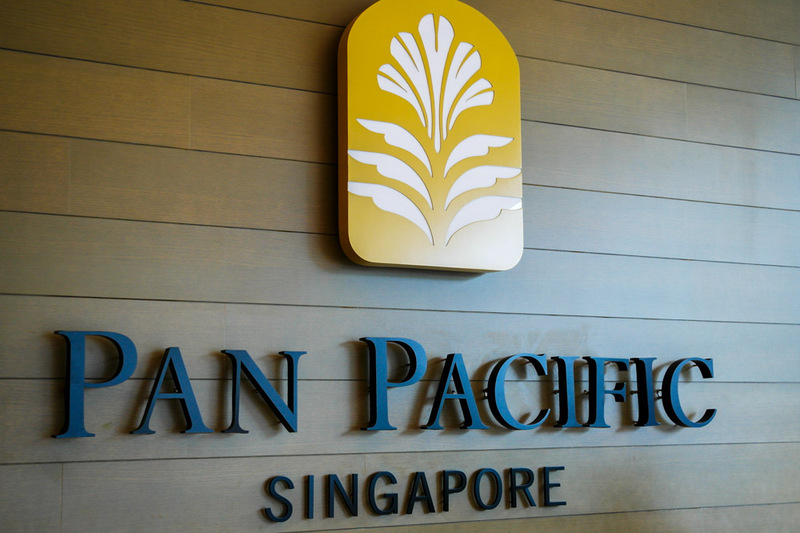 I had no doubt, one of the best hotel staycation experiences in Singapore at Pan Pacific. Service level was highly attentive, where hotel associates pride themselves in extending personalized care to each guest and willing to go that extra mile. 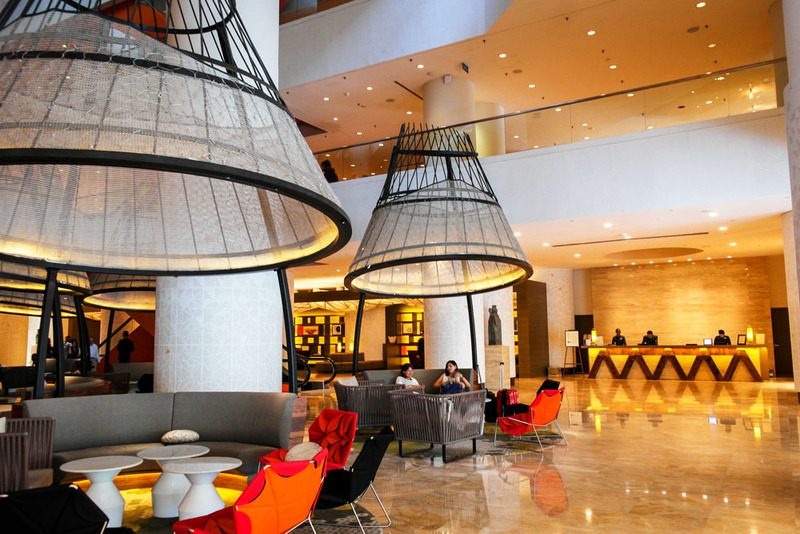 There is a reason why Pan Pacific is a hotel brand with multiple awards under their belt. Take up the Fireworks by the Bay and be placed in a room facing the Marina Bay float- enjoy full National Day festivities, especially the fireworks at night that go off around 8pm. 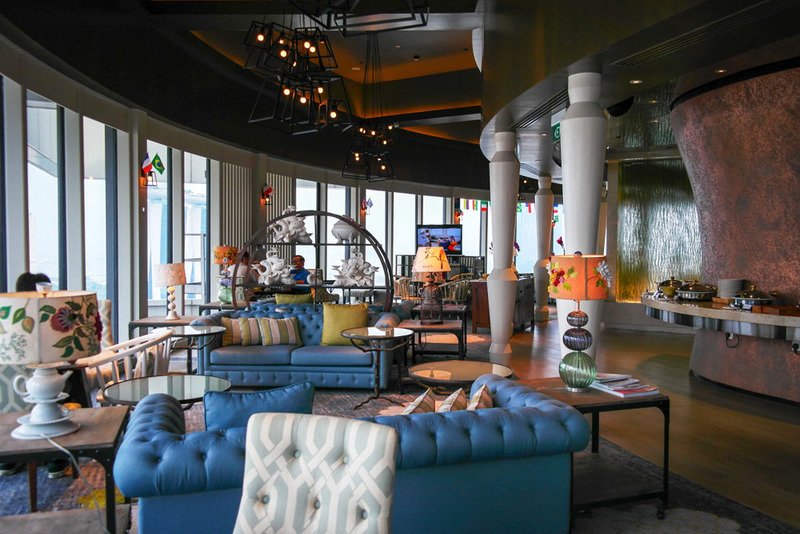 Definitely top up and get club access to enjoy the beautifully done up lounge if you intend to book a stay.